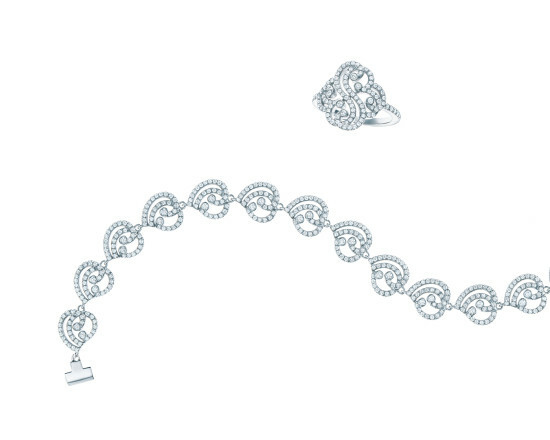 For Valentine’s Day, Tiffany & Co. offers dazzling diamond jewelry from the Tiffany Enchant® heart collection. These romantic designs are inspired by the intricate patterns of traditional 19th-century gates that border sumptuous gardens and grand estates. Tiffany designers contrast these ornate jewels with a clean-lined bracelet of 18k white gold covered with over 9.0 carats of diamonds and over 55.0 carats of vibrant spinels.